This ‘old’ steam locomotive Z11 was actually built in 1992 as part of the class 999.2. It is operated by the Schafberg Railway (Schafbergbahn) which is leading from Sankt Wolfgang im Salzkammergut up to the Schafberg. This metre gauge cog railway is pretty steep, at a total lenght of 5.85 km it gains about 1,200 m height difference. 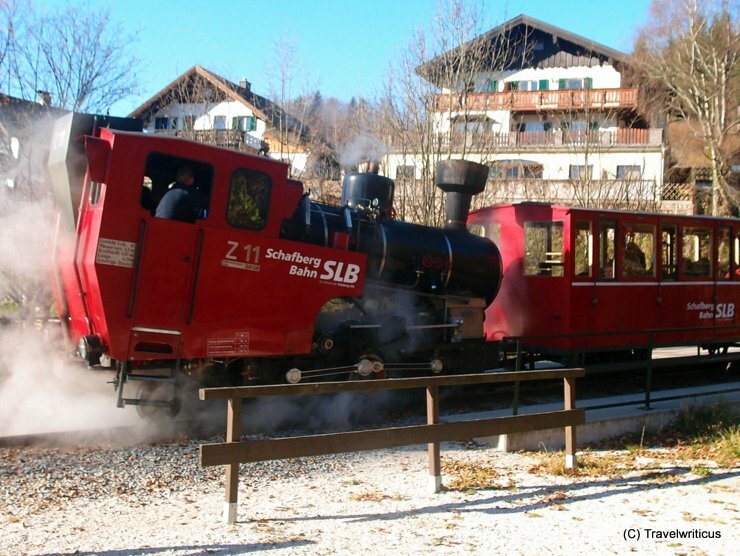 This entry was posted in Locomotives, Railways and tagged Austria, Salzkammergut, Sankt Wolfgang im Salzkammergut, Upper Austria by Travelwriticus. Bookmark the permalink.